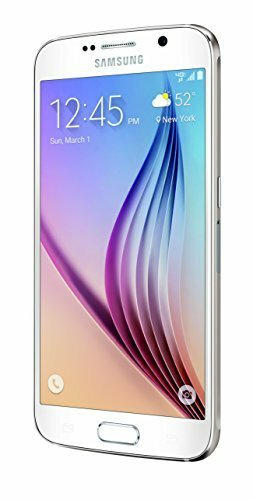 Samsung Galaxy S6 is a great cellphone launched some years ago, packing a 64-bits Octa-Core processor (formed by a Quad-Core speeding at 2.1 gigahertz and an extra Quad-Core at 1.5 gigahertz), a quite big 5.1 inches touch-screen, a 16 MP back camera and a 5 MP front facing camera. Let's take a deeper view of what this phone has to offer. Samsung offers this phone in a variety of color options like black, blue, white and gold. This phone design is a combination of Glass and Aluminium, which gives it a premium design and better resistance. Samsung has made a very good job making this device weight just 4.87 oz. 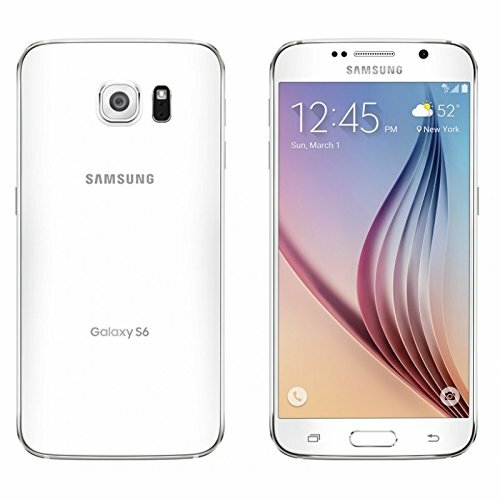 The S6 just has 5.65" long, but it manages to hold a 5.1 inches screen. 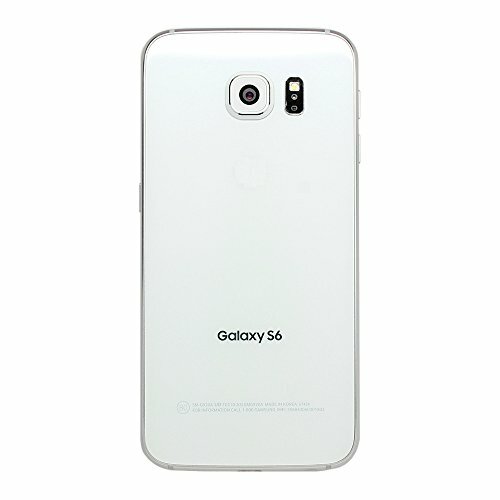 The S6 has a gorgeous design, with a thickness of just 0.27". Samsung decided to power this phone with a Exynos 7 Octa 7420 chip, including an extremely powerful 64 bits Octa-Core processor (as a matter of fact they are really a Quad-Core ticking at 2.1 gigahertz and another Quad-Core speeding at 1500 megahertz) with a big 3 GB RAM. Graphic calculations generally consume a lot of CPU time, so it has an extra 650 megahertz Mali-T760 MP8 GPU to unload the CPU. 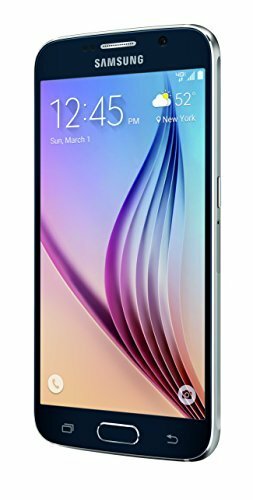 A great point of the S6 is the 128 GB big internal storage memory and while it doesn't have a slot for SD memory cards, it is still enough to store hundreds of apps and even the largest games available nowadays without thinking about running out of space at all. This device features two cameras, a 16 megapixels back facing camera and a 5 mega-pixels front facing camera. this phone's back facing camera has an aperture of F1.9 so it can take detailed photos even in low-light environments. It also films 3840x2160 4K videos at 30 frames per second. This camera also features many useful characteristics: auto-focus, flash, optical image stabilization, fast burst mode, face detection shooting, HDR mode, smile detection shooting and geo tagging. This cellphone is equipped with a beautiful 2560 x 1440 (Quad HD / 2K) 5.1 inches display, which makes everything look absolutely perfect. This display uses Super AMOLED capacitive technology, and can detect multi touch gestures. The S6 packs a 2550 mAh incredible non-replaceable battery, which is quite poor for a highly consuming device like this. A key issue to take into account is that this phone's battery isn't removable	so you can't change it when it begins losing capacity, leaving no choice but to buy a new phone or maybe take the cellphone to an expert who can disassemble it and change its battery. This device has Wi-Fi connection (which it can share with other devices acting as a router), LTE-A 4G super fast data connection or 3G fast connection type, using HSPA, HSUPA, UMTS and EDGE technologies. The S6 uses a Nano SIM card for GSM networks. 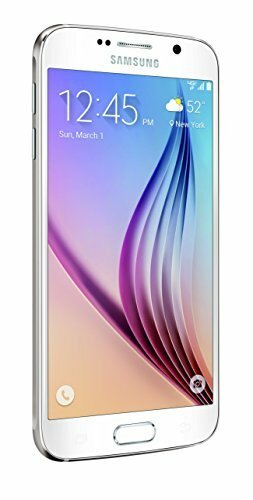 The Samsung Galaxy S6 also includes many interesting features like Bluetooth (4.1), Fingerprint Scanner, GPS Navigation, Infrared Blaster and NFC, and multiple sensors like Light Sensor, Proximity Sensor, Accelerometer, Gyroscope, Barometer and Compass. This phone is being sold for 365 dollars, which is really cheap for a device as good as this. No matter whether you are looking for a phone for work, you love taking photos, are looking for a social cellphone or want a gaming phone, this cellphone is probably the right one for you.